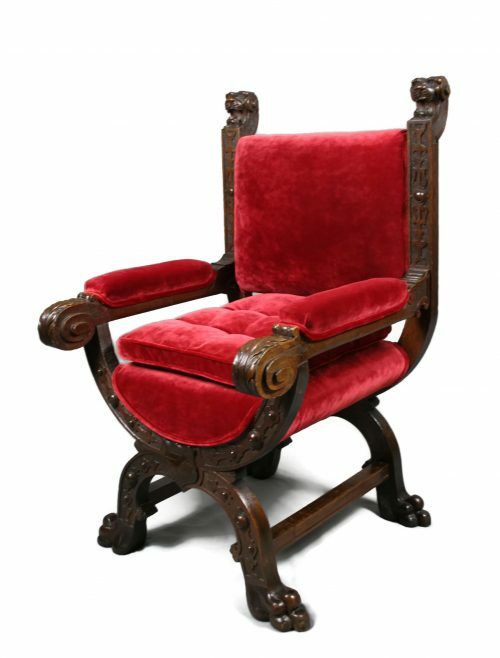 A stunning and comfortable Victorian desk chair from about 1860 in solid mahogany. 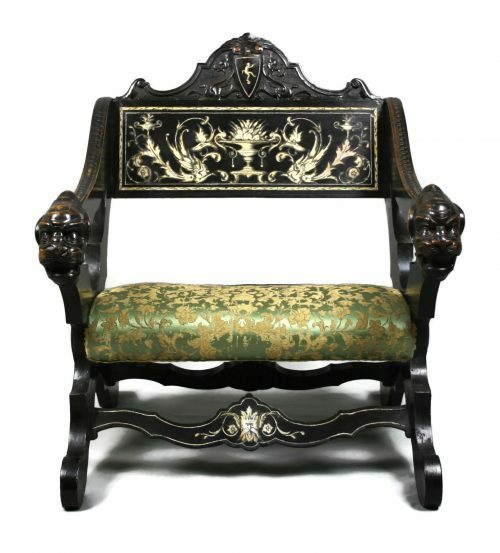 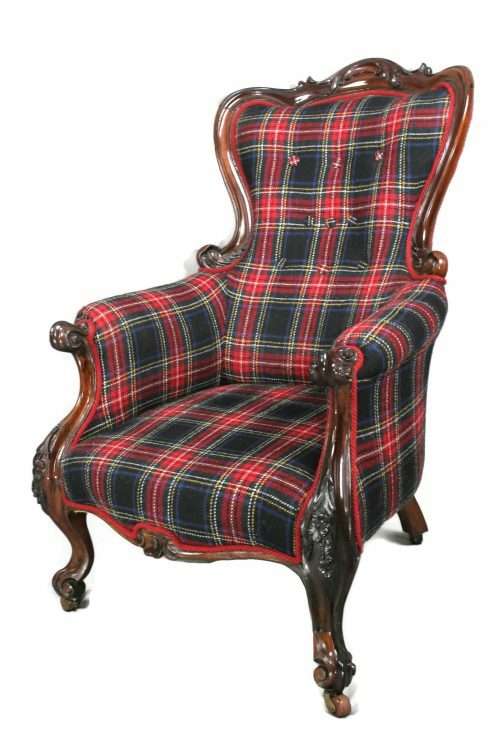 The chair has a horseshoe padded and buttoned back which is supported by a scroll, carved central splat and side supports in the cornucopia style. 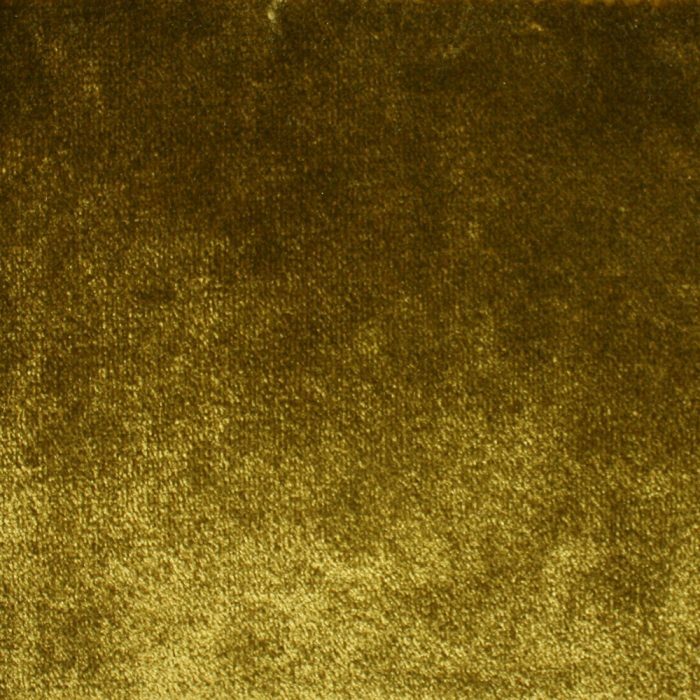 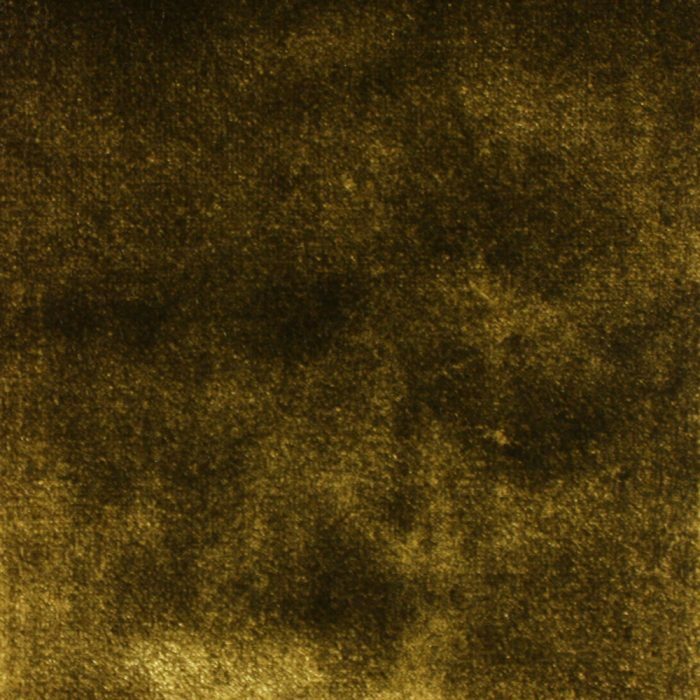 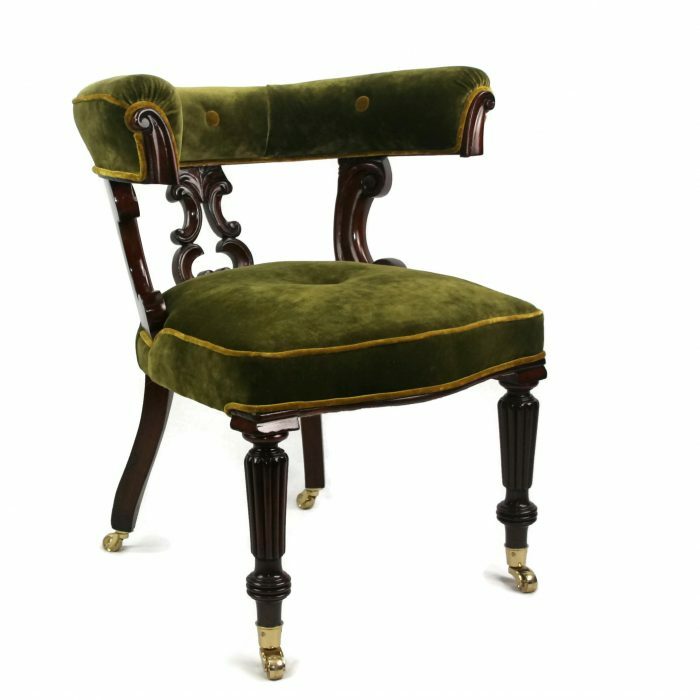 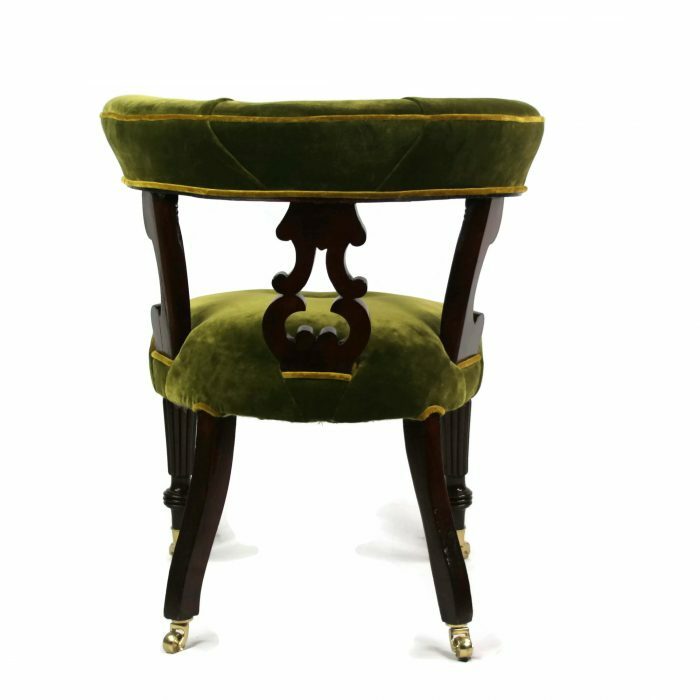 Beautifully upholstered in luxurious green Italian-made velvet with golden green piping appropriate to the period, yet giving the chair a slightly modern twist. 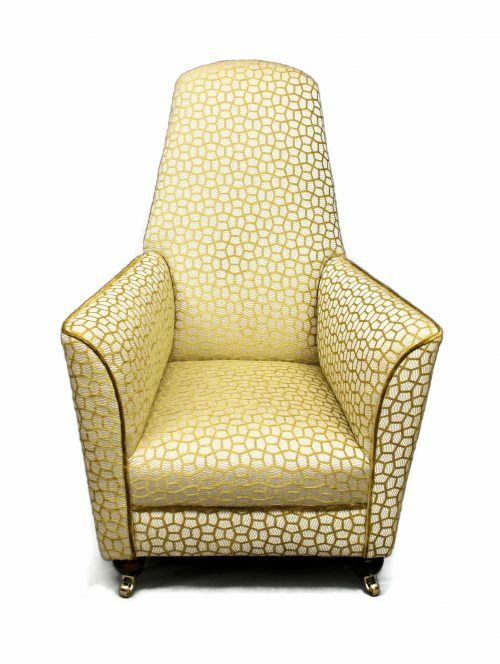 The fabric looks stunning but was difficult to capture in studio lighting. Please refer to the photographs of the fabric for the exact colour. 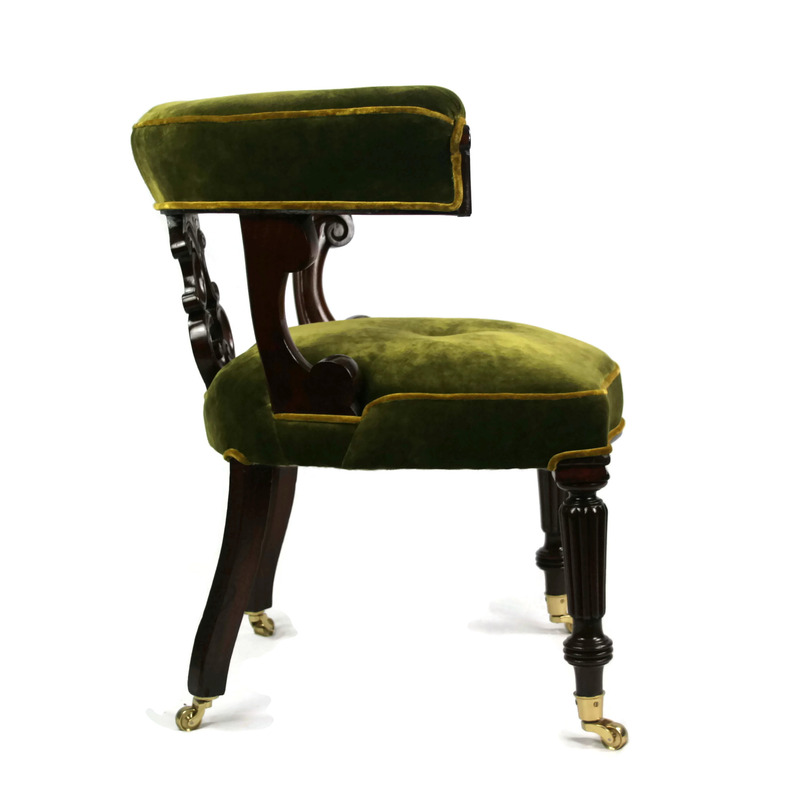 The chair stands purposefully on a reeded baluster front legs and splayed rear legs with brass castors. 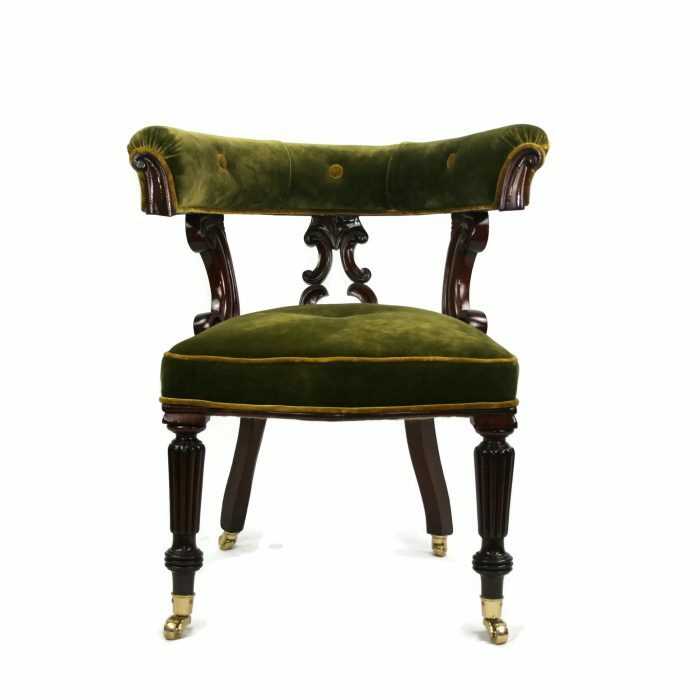 The chair would a fabulous as an occasional chair and a comfortable accessory to any desk.